The Greater Pottstown Foundation Scholarship for the Arts is designed to financially assist a qualified applicant in obtaining a degree from accredited academic institutions of higher learning for study in the arts. The program is open to any Pottstown, Pottsgrove, Hill School, or Owen J. Roberts High School senior student preparing to enter or already accepted to an accredited degree-granting college or university. 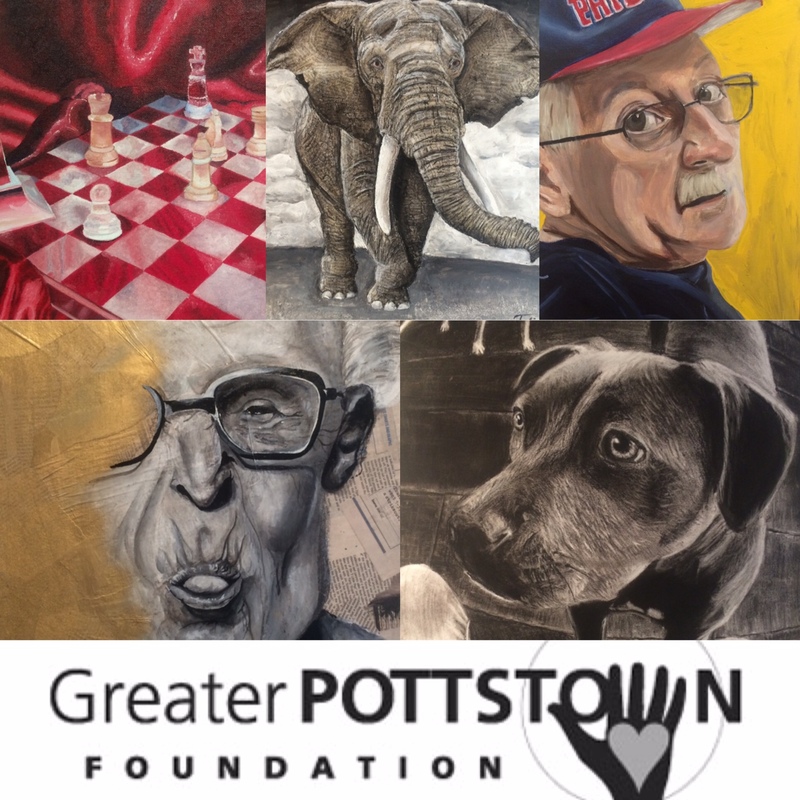 The $10,000 scholarship is awarded based on two criteria: artistic performance as displayed at the Greater Pottstown Foundation Scholarship Art Exhibit at ArtFusion 19464, and an essay on why the applicant wants to continue their education in the arts. This show features the artwork of the 2015 applicants. The show will run May 16 through May 30. The scholarship will be awarded at 1pm on May 16.